This delightful goanna feeding tray is both sculptural and functional. Located at Penders goanna feeding was a daily ritual. 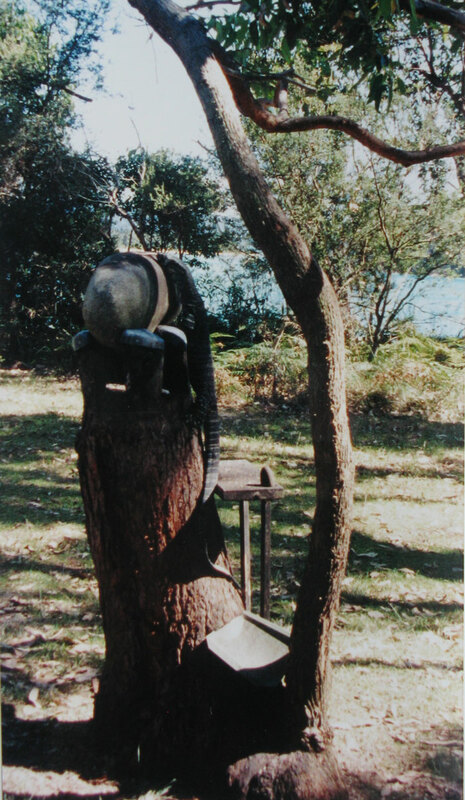 In the background you can see a sculpture created by Roy Grounds, and the goanna in the foreground is atop of another scultpure which is now located at Nurra Bukulla.